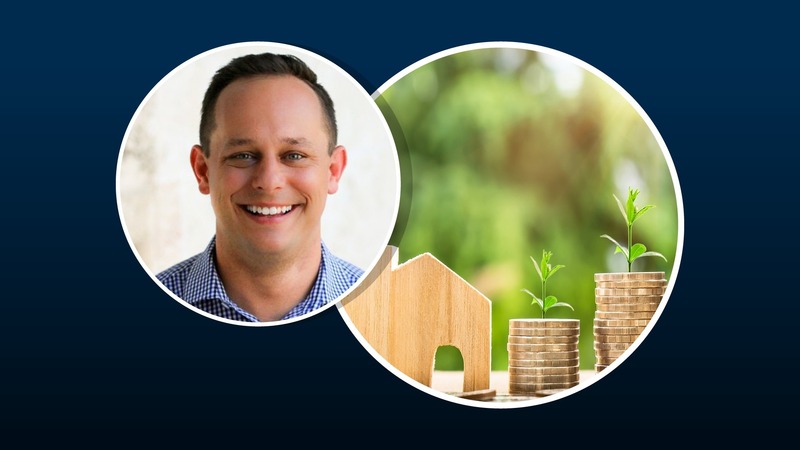 Anthony chats with Brit Foshee, an experienced entrepreneur with a demonstrated history investing in both real estate and small business with an emphasis on multifamily assets. Tune in as Brit walks us through how he started with $8,000 just after the housing crisis to reach the real estate success he currently has now. 22:50 – Everything is negotiable! Adjusting prices is subjective and you literally can negotiate on everything. The key to negotiations is to try meet people’s needs and then present yours to them, too. Call or text 212-401-2990 if you’d like to work with Anthony (or any of our guests). ANTHONY: So, if you’re thinking about buying a home, or maybe doing your first real estate investment, who better to talk to than somebody who’s done it dozens, maybe even hundreds, of times? And that’s why I have with me our friend, Brit Foshee. Hey Brit, thanks for joining us. BRIT: Man, pleasure to be on the show today. ANTHONY: I’m positioning you as the guy to ask for somebody whose never done a deal before, either for their own home or for their first real estate investment, so can we talk a little bit about why you’re a great guy to ask about this from your personal experience? BRIT: So, yeah, my story starts back in 2009, and I had $8000 to my name, bought my first property. Always wanted to be in real estate, I’d seen the shows, and had some friends who had had a lot of success and so I took every dollar I had and put it down on a property and then I, at the time the government was running a tax credit where they mailed me a check for $8000, so I took that $8000 and invested it into the property again. My bank account is now zero dollars. And, I sold that property two years to the day because there’s a tax code out there. A lot of people know about it, some people don’t, that if you live in a property for two years, any gains that you realize on the property is all tax free. So, I had to learn trick and sold that property. I made, like, $40000 and so to me, at that time, $40000 was a lot of money. And so I took that money and I just started parlaying it into new deals using creative financing to pull out money and buy more deals. Here we are, 2018, and I’ve probably closed over 100 transactions, I owned over 45 doors at one point, I’ve sold some of my portfolio so I’m down to 30 something doors right now. But, that’s pretty much how I got my start in real estate and a little bit about my background. ANTHONY: Wow, okay, so you just dropped a lot of knowledge on us there. The first thing I’m just dying to ask about is this $8000 check program, does that still exist? Is that something people should know about? BRIT: It does not exist, so yeah, this was back in, I don’t know if you guys remember, but back in the crisis where no one was buying real estate except for idiots like me, so the government was trying to incentivize home buying by offering these tax credits. Now, there are certain programs out there that you can get involved with, but they’re not like this one. They’re not gonna write you a check, at least not today. ANTHONY: And then you mentioned if something happens within two years, you have zero tax on your gains? Can you tell us a little bit about that, and if it still exists? BRIT: Sure, yes, so this is one of the most powerful tax breaks I think exists in the U.S. And what’s crazy is a lot of people don’t know about it. I mean, I have friends selling homes and then they’re paying taxes, and I’m like dude, you need to get a new CPA, you need to get a new tax guy. But, basically, the rule is this. If you live in a property two of the previous five years you can receive tax free gains up to $250000 for an individual and up to $500000 for a married couple, and that’s all tax free. And so, for me, I don’t know of another incentive like that where the government is just gonna say oh, you made $250000? Yeah, well, don’t mail us a check. My wife hates me for this, but we literally move every two years, and so we take advantage of that tax break as much as we can, and it is amazing way to really get some tax free income. ANTHONY: Yeah, I totally agree, there’s very few gimmes from the IRS, so when they do put one on a silver platter like that for you, you gotta be all over that. BRIT: Absolutely, and it’s crazy how many people don’t know about it. ANTHONY: Cool, so I think we can all agree that you know what you’re talking about when it comes to real estate purchases and investments, so how I wanna help our folks who are listening is maybe somebody who’s new? Perhaps buying their first home or even their second home. Whether you’ve done it once or twice, that’s clearly not the same thing as somebody whose done it dozens or hundreds of times, or maybe doing their first investment. So, there’s a lot of things that might seem intimidating to a first time, or a relatively new, home buyer, so let’s start with how do I know what’s a fair price for a property that I’m interested in. Where do you start with your analysis for that? BRIT: Sure, so, my approach might look a little different than your average buyer, so maybe I’ll lay out both scenarios. For myself, I have a general rule of thumb that, as an investment property, I’m only gonna buy a property that I know I can sell for more tomorrow. That’s just my basic rule of thumb. And so, I know that if I buy a property and I put it on the MLS tomorrow, if I can sell it for more, then I’ve found a good deal. Now for your average home buyer who’s maybe just buying their first property or maybe they’re buying their first investment property, you might not have the access to the type of deals that I have access to. You might not have access to the cash or the financing that I have access to, and so your approach might look a little different. And here is what I would say. I would say do your own due diligence, trust but verify. So, in my world, the investor world, we make fun of real estate agents. If you’re a real estate agent and you’re listening, we love you, you provide an awesome service, but many of the ones that we run with, they’re just not that educated. They’re really good salespeople, but when it comes down to actually knowing the facts about properties and values, we find them lacking in most cases, not all cases. And so, I would say there’s so many resources out there to help you verify values. People hate on websites like Zillow and Redfin, places like this, but for me, I actually love them because it gives me a great, quick, easy snapshot of some value to the property. So, I wouldn’t necessarily trust a Zillow estimate on what they think a property is worth, but I absolutely trust local sales and see what things have sold for, see what things are selling for currently, and basing my price currently on that. So, if you wanna get a good deal as your average buyer, you’re gonna have to have some sort of advantage. That advantage might be your story, it might be your connection to the seller, it could be your offering in terms of financing, your closing time, your inspection period. There’s a lot of things that you can sort of negotiate to get yourself a better price. But, if you just come in with an average offer, an average close time, an average inspection period, your offer is not gonna be accepted. You’ve gotta find a way to sort of position yourself ahead of the other offers. Yeah, so, a target price for me, personally, I wanna make sure I can buy it and I can sell it for more tomorrow. For you, a good target price is, look, you don’t wanna overpay for a property, so figure out what other properties like yours, your target property, is selling for, and try to get that price or below. And then, explain to the sellers how you got to your price. You know, show them, like, “Hey, Miss Sally,” “this property down the street just like yours” “sold for this price, and we feel like” “that’s a fair price, so we’ll pay that.” Or, “We feel like they have a pool” “and you don’t so we wanna pay less.” That’s how I would set a target price and negotiate it. ANTHONY: So, you’ve given us two tracks to think about. The average, more typical home buyer and the investor. So, let me just start off, and those are both interesting points, and I think useful, let’s start off with the more average home buyer. Let’s start out with figuring out what, maybe, other properties have been going for. You mentioned Zillow and Redfin, how would you go about finding, this sounds probably really basic to you, and maybe even to me, but I just want to lay it out there for somebody who’s really new to this, how would you go about, aside from Zillow and Redfin, figuring out, from public record, let’s say, what are recently closed sales in the neighborhood that you’re interested in? BRIT: Sure, so actually Zillow does pool from the public records which makes it, in some ways, more advantageous than even the MLS because the MLS is just gonna show you on-market transactions. And typically, when you’re negotiating on-market transactions, you’re gonna use on-market comps. So, one little tactic you might use would be to use, like you suggested, off-market transactions. Typically those are a little less, and potentially, you could use that as a sort of point to help you negotiate your price down. But, you can go online to your local tax assessor and you can go on and basically do a search to see what has sold, what it sold for, and if you do a little digging, you can figure out if that was a cash transaction or a finance transaction. This may be obvious to some, but cash transactions almost always trade for less than finance transactions, and so you would want to weigh that into your value if you saw a cash transaction. But, yeah, that’s how I would pull that data. And then, for me, once I pull that data, then I go to the market, which is the MLS, and I then evaluate what stuff is trading on at market value. ANTHONY: You also mentioned closing time as one variable in terms of how to price something? Can you talk a little bit about that? What’s an average closing time for Joe and Jane Average versus what might be a long closing time? And what’s an attractive or quick closing time for some sellers? BRIT: This is a funny topic ’cause I just was in a situation where the closing was supposed to happen in 45 days, it went to 60, and then they wanted to bump it to 90. An average closing time I would say is probably 30-45 days. The truth is, the closing primarily is gonna depend on how fast the buyer moves and the lender moves. Those are the two big variables. Title policies and things like that, like the title company generally can get their work done in about a week. They’re usually waiting on the buyer to submit stuff to the lender, who has to submit stuff to the underwriter, who has to approve the loan. And so, a short closing might be like three weeks if you’re doing financing, and then a long closing would be like, say, 90 days. But, I mean, when we’re doing cash transactions, we’ve literally turned a closing in two or three days. All we have to do is make sure the title’s clean and then we wire the funds and then you close. On the other end of the spectrum, you’ve got some 90 day closings, maybe there’s a person who is selling a home that has to wait for it to sell before they can close the buy side, so there’s all these variables that can certainly delay a closing. But, I’d say the average is 30-45 days. ANTHONY: And lemme just add, since I’m in New York City and most of my audience is, and Brit, which area of Texas are you from? BRIT: I’m in Florida, actually. ANTHONY: Oh, you’re in Florida, pardon. But, because I’m in New York, I just wanna make sure everyone understands that we’re mostly dealing with condos and co-ops here, so you might wanna add another two weeks to a month to the timelines Brit mentioned because of board approval which is just a very common and painful thing here in New York. BRIT: Absolutely, so yeah, I’d absolutely say that is 100% accurate. I buy 99% single family, so we don’t run into that, but anytime there’s HOA, condo approvals, any of that, that’s definitely gonna add to your timeline. ANTHONY: So, last thing on average first time home buyer’s, before we jump into the investor side of how to determine value, you mentioned making adjustments for is there a swimming pool, is it the end of the block, that kind of thing? I mean, you might have your subjective view on what’s a good pool or what’s a desirable part of the neighborhood, how do you get a sense of how to adjust for that? Is that something you’re gonna need to rely on your broker for, or is there some other objective way of doing that? BRIT: Yeah, I mean, there’s absolutely a way to do it. That’s how appraisers come to a value. There is, potentially, some subjectivity, and I think the subjectivity comes in cleanliness/condition of certain properties, of the property. So, say the roof, someone might say that has a seven year life left and so they’re gonna do some math and figure out what that would mean in terms of value whereas someone else might come and say we think it has nine years left. So, there is some subjectivity, but I would say that it’s minimal. And the way that I would approach it is I would just start with a very good comp, and a very good comp would be a same bed and bath and a very, very similar square footage. And then from there, you can really get yourself a good base to start off, and then you add and subtract based on the qualities of the comp. And, truthfully, it’s good to have more than one comp. But, in some cases, depending on where you’re at, depending how rural the area is, maybe you only have one. But, it’s good to have two or three. And then just do some math, add and subtract, and look and see what did the house with the pool sell for? Well, that one sold for $20000 more, so we could come to some sort of an agreement that $20000 is what the value of a pool would be, and so you can figure out those things deductively through some research and sort of do your own math. ANTHONY: And just again, to add a New York spin to this great information, New York is unique in that you’ll have these high rise buildings and there’s just so much transactions and data that you can figure out exactly what your floor plan goes for, just on different floors, and just make a very minor adjustment based on height, because New Yorkers prefer higher floors to get away from the street noise. So, that’s actually, in terms of getting true comparable, if you’re trying to buy unit 20A, you can find out what 19A, 18A, and maybe 7A sold for in the past six months, and you’ll have some really good data there. BRIT: I love it, yeah, absolutely. ANTHONY: Going back to your personal method as an investor, and what you’re describing to me when you say you want to buy something you know you can sell tomorrow for more, sounds a lot like a very Buffet-esque margin of safety concept, have you every thought of it that way? BRIT: It’s funny, my friends think that I’m like this crazy risk taker and I’m really not. I would say that I’m probably one of the most risk-averse people that you would meet. I like that method because it gives me a lot of flexibility. One of the ways I was able to get where I am today is using creativity in financing. Again, I only had $8000 to start, and you don’t build what I have with $8000 without using some creative financing. One of the beautiful things about buying an undervalued asset is you can fix it up, turn around, and 90 days, six months, depending on the seasoning requirements of the bank, and go pull out most, if not all of, your cash. You can’t do that if you overpaid for an asset. You can’t do that even if you pay retail for an asset. My approach is almost by necessity because when I started out I just didn’t have the cash to go around buying up properties, so for me, it’s been a safe way to play, knock on wood, today with all the transactions that I’ve done, I’ve never lost a dollar on a transaction. I think that’s due to just my very conservative approach and underwriting. ANTHONY: I’m sure people are gonna want to know this, if you can, what are your top three categories of undervalued properties? And I have a feeling my line of work might overlap with what you might be looking at. ANTHONY: I was kinda, sort of thinking ahead that maybe one type of target property that may typically be undervalued would be probate sales, which is, as you know, what I do, but I’m not sure if that’s accurate, I mean, please tell me. BRIT: Absolutely, yeah, we would qualify pretty much every property we acquire as distressed sell, which just means that the seller is distressed, and for whatever reason, perhaps it’s a probate sale, perhaps they are behind on their taxes, perhaps they’re behind on their mortgage, perhaps they need to move very quickly because they received a job. There’s all these reasons why someone would want to sell a property and sell it very quickly. Speed is really what we offer in exchange for price. There are some other things, but that’s the primary sort of trade off that we give. When we target properties, we’re just targeting people who are ready to sell and ready to sell fast. Those come, like I said, in the form of probate, tax delinquencies, foreclosures, preforeclosures, so those are probably three or four of the main ones right there. ANTHONY: On one of my earlier episodes, I talk with a buddy who bought his home through a short sale and got a really great deal, do you ever deal with that at all? BRIT: Yeah, short sales are awesome in terms of value. They’re such a pain in terms of transactional ease. We certainly have bought some, but they’re not our niche because we don’t like dealing with six month closes. ANTHONY: My friend, Dave, closed on his short sale in eight weeks. Bank wanted to close in four weeks, I was amazed. BRIT: If you can find those, and they are out there so you’ll see some that say price has already been approved by the bank type situations, generally those are gonna move faster. But, if the price hasn’t been approved, you’re just throwing darts and it’s gonna be a long back and forth between the bank. ANTHONY: I’m totally with you, I’ve done several short sales from the estate side and the problem that we get, run into the most, is the BPO, which I think is the appraiser from the bank side? They always have this unrealistic sense of what the house is worth that I’ll never get that price and we just end up fighting with them for weeks before we can get to an approved price. So, let’s move on to negotiations. And, this is something that I would say the vast majority of average Americans either don’t know how to, or it’s uncomfortable so they don’t want to negotiate. They’d rather just pay and not have that discomfort of haggling over price, but, this is important. These are big five figure swings, potentially, if you do this right, so I think this is an important topic to cover, would you agree? ANTHONY: Let’s start off with first with the average home buyer. How do they start off? They have a place that they’re interested in and based on the due diligence and the research that you just taught them how to do, they have a sense of what it should be worth and what they’d like to get it at so they know that they’re not gonna insult anybody with the low range of their offer, but they know how much is the max that they’re willing to pay, if that makes sense? ANTHONY: How would you recommend home buyers go about this process? Where do they start? BRIT: So, the secret about making great deals is making sure that everyone involved in the transaction gets taken care of, and when you take care of everyone in the transaction, everyone in the transaction then becomes a fan or a friend of you, and then later on, when you go to do deals with them later on, or their friends later on, they then are your cheerleaders and they say, “Well, Brit does great deals, you should talk to him.” The problem is is people think of negotiating as trying to take advantage of someone. And then what happens is you become this quote, unquote, great negotiator, and then you take advantage of someone, and then you actually hurt your name, and then down the road people are like, “Oh I would never do a deal with that guy.” “He’s a shark, he will take advantage of you.” And so, for me, negotiating is all about uncovering really and truly what everyone wants. And once you uncover what everyone really wants, you attack those wants and you give them what they want. So, the battle would be, for an average buyer, we already know what people want. We know they want to sell their house, and we know what price they want it for. It would be my job, as a buyer, to figure out what else do they want? Is there anything else that I can provide to them where they would give me a discount on the price? You have to start to dig for those things. I would think well, do they want to close quickly? Just ask. If you’re working with an agent, ask their agent is this a situation where they want to close quickly? It’s a yes or no answer. Well, if they want to close quickly, that’s something that I can give them. Do they want a short inspection period? Well, yes or no? They do, well, okay, I can give them that. Do they want me to, I’ve got a moving company, do they want help moving, I can offer that. You try to uncover as many needs and wants as you possibly can, other than the obvious, and then you try to meet those needs, and then when you meet those needs, then you ask for your wants and needs, and you come to a reasonable solution. That, to me, is how you negotiate. Any other method, I believe, is preying on people. We just don’t do that. We figure out what they want, what they need, and then we try to give them what they want and what they need, and then we ask for what we want and what we need. ANTHONY: That’s excellent advice, and the one risk is that first time home buyers might be thinking, “Well, I don’t” “have any of those things to offer, I can’t fill any” “of those needs, I have to get a mortgage so I’m not” “a quick close,” and so forth, but that’s not necessarily true because there are a lot of sellers out there for whom it is very important that their home go to another loving and growing family. That’s actually something that’s very important to a lot of sellers. They raised their kids in this home and they want another set of kids to be raised in this home. So, you might be able to fit that bill without having to be an all cash buyer or whatever. BRIT: That’s a great point, you know, every offer that we make, my company has a cover letter of our story because we think our story matters, we think our credibility matters, we think the fact that we’ve purchased 25 homes in the last 12 months matters. So, do you wanna deal with someone who you’re not sure if they’re gonna close or do you wanna deal with someone who’s gonna close every time? Obviously, a first time home buyer couldn’t offer that, but they could absolutely offer their story. Offer a picture, offer a picture of your dog, you never know what connection you might make with the seller, so that’s a great point. ANTHONY: I can’t stress enough, that’s actually really great advice on negotiating, and it applies not just to home buying but to negotiating your salary, with your business partners, it’s just really sound thought process, I think. BRIT: Yeah, and I’m involved in business transactions outside of real estate, and I would say outside of real estate, it even becomes better advice because there’s so much more variables involved where you can sort of tweak something here and tweak something there, just like you said. I am working on acquiring a small business right now, it’s a one man business, and we’ve been talking. What do you need, well, this is what I need. What kind of salary, what do you want for the business. So, we’ve been talking about needs and wants and desires and then so many more variables outside of real estate that you can tweak and sort of come to a middle ground. At the end of the day, what I want is I want him to be very, very happy with the deal he got, and I want to be very, very happy with the deal I have. ANTHONY: Last thing on negotiations is the non-price factors. We already talked about speed of closing, but what are some other non-monetary, or I guess non-purchase price items that might be up for negotiation once you’ve settled on purchase price? BRIT: Everything is negotiable no matter what your agent tells you. The furniture in the house is negotiable. You can literally negotiate closing time, you can negotiate down payments, you can negotiate concessions from the seller, you can negotiate, you know agents are gonna hate me for saying this, you can negotiate agent commissions. You can negotiate with your title company. Your title company might say normally to close a transaction, it costs $1500? You can say look, title company down the road’s gonna do it for $1000, you know? Everything is negotiable, it really just depends on how much you wanna truly negotiate. I would say walk into a scenario with an open mind knowing that anything is up for discussion. And if you are willing to have it, then you can have that discussion. ANTHONY: That’s all I have, I mean, you’ve really very thoroughly covered what I think are the key questions for our first time home buyers and first time real estate investors. I think everyone would agree that you’ve really demonstrated you know what you’re talking about, you’re really good at clearly and concisely teaching this stuff, do I understand correctly that you’re now shifting slightly into coaching this material, as well? BRIT: Yeah, I do mostly one-on-one style coaching where I sit down with aspiring real estate investors and I just try to get them started. In fact, I had lunch with one of my students yesterday, and he just closed on his first deal, and on Friday got the wire and was so excited. He brought me a gift, I was overwhelmed. I was like, “Dude, you didn’t have to do this.” But, yes, my goal is to just teach people the ropes and try to get them into their first deal and then after their first deal, sort of like a mother bird would let the chicks fly, so this particular student that I’m mentioning, I feel like he doesn’t even really need me at this point. He knows exactly what he needs to do, exactly what he needs to look for, and that’s my goal. I have started doing that, and it’s really a case by case scenario, to be honest, just because I don’t have a ton of time so I only pick students who I believe are gonna succeed in this business. ANTHONY: Who would be a good candidate and how would they go about contacting you to see if they’re a good fit? BRIT: I think a good candidate is someone who has an open mind, generally you need to be good with math. I’ve never met a good investor that’s bad at math. You could maybe learn math, but you have to either know math or be willing to learn math. You have to sort of have a do whatever it takes mentality. You have to be willing to overcome a ton of obstacles. It’s so easy to watch these shows, you know, watch a 30 minute show and see someone make like $50 grand on a house flipping and just think that it’s that simple, and I assure you that it’s not. Now, I don’t think it’s that difficult as long as you have the mentality of okay, this is a problem, I have to overcome this problem. In fact, I kind of joke around, people think this is a very pessimistic view of life, but I literally wake up expecting problems. I literally wake up thinking what problems will I have to face today, because that’s the reality in which I live in. I solve problems for a living and I enjoy it. So, if you enjoy solving problems, if you enjoy overcoming obstacles, you’d be a great fit. ANTHONY: Cool, and what’s the best way to get in touch with you? ANTHONY: And we’ll add all that to the show notes to make sure it’s real easy and clickable for anyone who is interested. Brit, this has been outstanding. I just feel like, again, I love delivering tremendous value to whoever is listening, and I think we’ve done that today, yeah? BRIT: I love it man, I love your heart and your spirit in this podcast, and if anyone needs anything from me, feel free to reach out, I’d love to help. ANTHONY: Brit, thanks again for joining us, everyone else, make sure to subscribe or go to anthonyspark.com to join our email list, and we’ll talk to you next time. Take care.